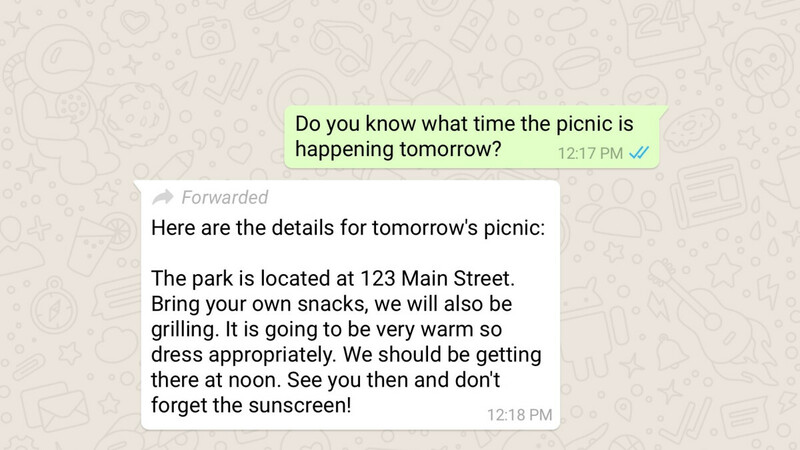 Following the revelation yesterday that WhatsApp had chosen to take out a full-page newspaper ad in India in the hope of spreading awareness about fake news, the Facebook-owned messaging service has now confirmed that it's rolling out a new feature aimed at reducing the problem. The new feature, which is pretty simple, will see all forwarded messages labeled as so in order to clarify to the receiving party which ones have been written by the sender and which ones have simply been resent. In the fight against fake news, this new labeling feature shouldn’t be expected to make a huge impact but it will certainly help clarify the source of information ever so slightly for those on the receiving end. After all, until now, there was no way of telling which messages had been resent and which ones were brand new. Ultimately, although the feature may not do much when it comes to eliminating the source of fake news, the new label should make users question the information they receive through the app, thus reducing the speed at which the information is spread. Also, it reconfirms the Facebook-owned messaging service’s stance on the problem and suggests the feature could be just the first of many new ones that could potentially be in the pipeline.